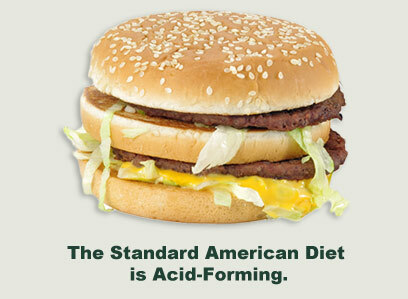 The standard American diet is highly acid-forming, overwhelming the body's mechanisms for removing excess acid. The staples of the American diet are meat, dairy, corn, wheat and refined sugars (all acidifying foods). At the same time, the diet is notably deficient in alkalizing fruits and vegetables. High acid-forming diets that cannot be properly digested acidify body tissue and eventually lead to Chronic Acidosis. Chronic Acidosis contributes to many diseases such as Chrohn's disease, diverticulitis, cancer, strokes and diabetes. When our body pH becomes overly acidic, it starts to set up defense mechanisms to keep the damaging acids from entering the vital organs. Chronic Acidosis forces the body to constantly deplete its cellular energy to neutralize and detoxify these acids before they can act as poisons which will eventually compromise the immune system, leaving it vulnerable to the ravages of disease. The Acid Alkaline Balance Diet emphasizes Alkaline Foods. Foods that are alkalizing should be consumed much more than acidifying foods. 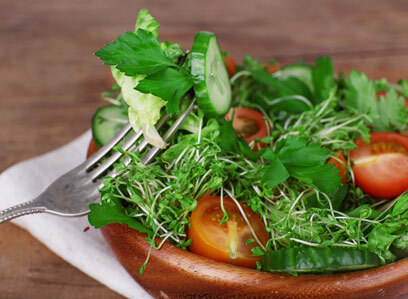 An alkaline diet emphasizes alkaline foods such as fruits, green vegetables, lentils, spices, herbs and seasonings, and seeds and nuts. This diet is highly recommended for those who feel tired most of the time. Stress and a low energy level can both be treated with a diet that is acid alkaline balanced. Alkaline foods are especially important when considering nutrition for athletes. The alkaline or acid attributes of foods are a factor when the body uses them for fuel. Without consuming enough alkaline foods to help manage that delicate blood pH balance, the body has to utilize calcium from bones in order to counteract leftover acid in the bloodstream. This results in bone weakness. Athletes should consume good quality proteins instead of acid-forming proteins which are difficult to digest and slow the body down. Plant-based proteins protect against chronic degenerative diseases, are low in saturated fat, and promote an overall healthy body. 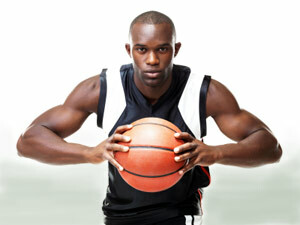 Common sport supplements should be avoided. They often contain denatured, highly processed, acid-forming ingredients which are highly acid-forming in your body as well as extremely difficult for your body to digest. All denatured foods—highly refined and processed foods—are toxin producers, and as a result, have the most negative impact on pH balance. They can even lead to premature aging through cell degeneration. In addition to acid-forming foods, most prescription drugs, modified sugars such as high fructose corn syrup (commonly used in commercial sports drinks), synthetic vitamins and mineral supplements are also acid-forming in the body. Athletes in peak training are most negatively affected by acidosis. Acidosis impedes recovery and thus the athlete's ability to get the most out of training. Knowing which foods aid in establishing your body's pH balance will not only help you avoid all the negative effects of acidosis, but also help your recovery time and energy levels to train stronger, longer, and harder. At the College of Natural Health, our students realize the importance of eating an Acid Alkaline Balance of Alkaline Foods at an 80% alkaline-forming to a 20% acid-forming ratio. We offer nutrition courses that will teach the student about the Acid Alkaline Food Chart and the benefits of an alkaline forming diet. An alkaline diet will help to oxygenate body tissue and assist the sports athlete to maintain the highest quality of power, strength and endurance during athletic performances, while avoiding being prone to injuries.